As your health care team guides you through a colorectal cancer diagnosis, they perform many diagnostic tests to understand your tumor type. Most treatment recommendations are based on this important information, which can include details such as your cancer’s stage, grade and location. Recent advances in diagnostic testing for colorectal cancer now allow doctors to predict, in some cases, how a patient’s tumor will behave so that they can plan treatment accordingly – an approach called “personalized medicine.” This fact sheet describes two such tests. What new tests are available? KRAS Mutation Analysis This test for people with metastatic colorectal cancer checks for a mutation, or change, in a gene called KRAS (pronounced K-razz). KRAS is found to be mutated in about 40% of people with colorectal cancer. People who do not have the mutated gene are said to have the “wild type” KRAS gene. Oncotype DX Colon Cancer Assay This test is for people with stage II colon cancer. It analyzes 12 different genes to give patients a “recurrence score.” The score (a number between zero and 100) estimates the chance of the cancer returning after surgery. A low score means you have a low risk of recurrence, and a high score means your risk of recurrence is high. What do these tests determine? KRAS testing determines whether or not your cancer is likely to respond to EGFR inhibitors. Research shows that people who have the KRAS mutation do not respond to drugs called EGFR inhibitors, such as cetuximab (Erbitux) and panitumumab (Vectibix). This means that if you have a “wild type” KRAS gene, EGFR inhibitors may be an option for you. If you have the KRAS mutation, your doctor should recommend treatments other than these for your metastatic colorectal cancer. 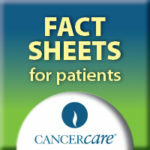 Oncotype DX can help your doctor decide if chemotherapy may be right for you. Usually, doctors decide whether or not to recommend chemotherapy after surgery based on general tumor characteristics such as stage, grade and location. This new test gives doctors additional information for making this decision. It can help identify which stage II colon cancer patients are at high risk of recurrence and may thus be appropriate candidates for chemotherapy. Patients at low risk may be able to avoid chemotherapy and its side effects. These tests are performed on sample tissue from tumors removed during surgery. The tumor samples are sent by your doctor to the company that developed the particular test you are receiving, and the results can be ready in a few days or weeks, depending on the test. Can these tests tell me for sure what treatment is best, or if my cancer will return? These tests cannot tell you for certain whether your cancer will return or what treatment will be best for you. This is because many factors need to be taken into consideration. The aim of these tests is to provide additional information about your tumor to help you and your doctors when making treatment decisions. Some insurance companies may cover some tests. Check with your insurer to find out whether a test is covered. You can also contact the companies that make the tests for more information. They may offer assistance with sorting through financial and insurance concerns related to their tests. Your health care team can answer any questions you have about tests such as KRAS mutation analysis and the Oncotype DX Colon Cancer Assay. Talk with your doctors before testing about what the results might mean for you. Tests like these may raise concerns such as what to do if a test shows a particular treatment plan is not likely to be appropriate for you. Your doctor can describe your full range of treatment options, including clinical trials. CancerCare‘s professional oncology social workers are also available to help.